Kylo Ren is Luke Skywalker. Luke Skywalker is Kylo Ren. Before people begin lobbing thermal detonators my way I’ve actually thought long and hard about this and tonight’s trailer release simply confirms my suspicions. Yes, much of this is speculation. Duh! None of us have seen the film and I’m not privy to any information that isn’t available to everyone. So if you’re reading this before the release and I turn out to be right then, SERIOUS MIDICHLORIAN-SHATTERING SPOILERS AHEAD!!! If not then the odds you’ve wasted a few minutes listening to a member of your fandom unsuccessfully navigate a trailer release are approximately 3,720 to 1. So, here’s 10 reasons why Luke is to Kylo as Finkle is to Einhorn. You know, this poster. 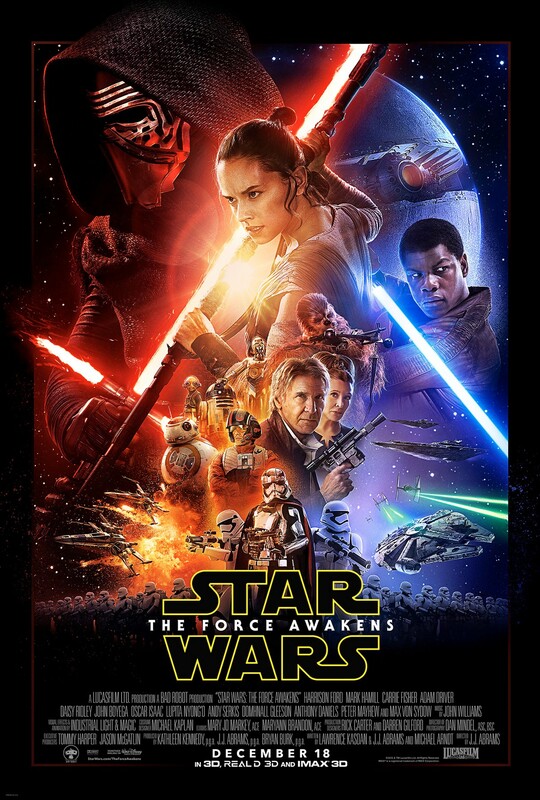 The poster everyone flipped their Force about because Luke isn’t in it. But he IS in it. I know that’s a he said, she said game but let’s do a head count. Rey, Finn, and Poe? Check. We’re dealing with two ancient and opposing, albeit evidenced, religions in the Star Wars universe; Jedi vs Sith. Mysticism, symbolism, and color are very important. There’s a “reason” Jedi fight in bathrobes instead of a more combat ready, blaster repelling, MJOLNIR Mark VI armour (sweet Cortana, someone please create that side fiction) and it’s, “our Jedi Order says so”. Everything is to align itself with the ideas and mythos of their side of the force. 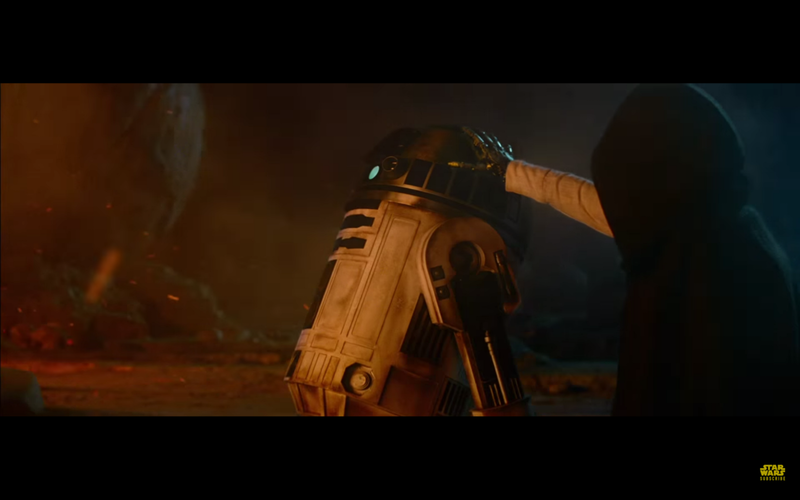 Taken from the second trailer released for the upcoming film there’s little doubt that this is Luke and his trusty companion R2-D2 — the mechanical right hand is a dead giveaway for that. But look at the cowl the character is wearing. Remember in Episode VI when Luke faced off against Vader in the final fight? He wore an all black outfit (actually throughout the entire film). While this shouldn’t give us pause, let’s go back to Episode III. We know from the trailer that many years have passed between VI and VII. Luke changing sides is not something that would happen over night. 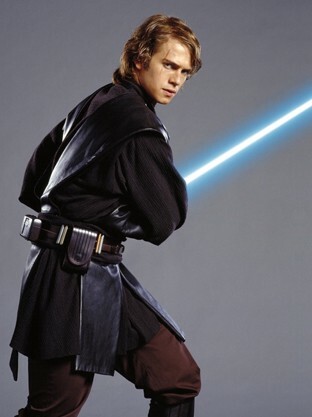 Like his father, he needs time to strike out on his own and attempt to establish real change in the galaxy by defeating the Empire and establishing the Alliance (like Anakin initially did in the Clone Wars). But the Alliance is just that, an alliance! It requires the independent choice of a multitude of people, a change that takes much longer to realize than the bending of galactic will to a particular vision. But that is a more effective route and it provides Luke more control. Remember when Luke was training on Dagobah what Yoda says to him? Luke is Anakin’s son. He has the same rebellious, assertive, Type-A tendencies. Now imagine, you’ve just defeated the Empire. The Rebel Alliance is in shambles but victorious. The Empire still has the more fire power. Coruscant is a distant legend. There is sudden peace and no clear leader. What happens? The Outer Rim warlords seize at the power vacuum left by the Empire. You, Luke, attempt to remake the galaxy into the prosperous and functioning system it was before there was war, all without using the Force for attack, or a clone army and armada that you quite literally just inherited. How long would it take before you’d compromised your principles? How long until you would have convinced yourself you’d get more accomplished, help more people, by using this once evil force to unite every world under a single banner? How long before you then had to rely on the Force for attack and power to fuel your ambition? How long before Yoda’s admonition for control became validation for your desire to control whole worlds? 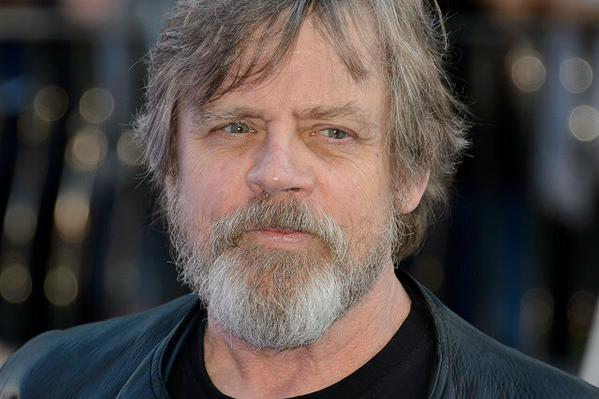 Back to practicality, Mark Hamill is old. Yes, Harrison Ford is older but that’s like comparing Achilles and Hector. 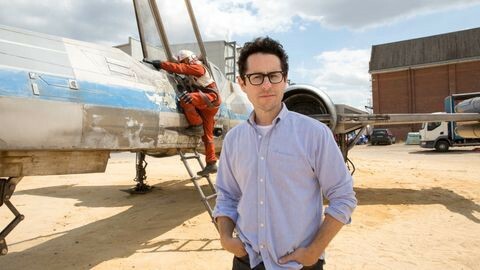 We know from Abrams’ behind the scenes videos that he’s a fan of analog and puppetry over CGI. We also know that the force affords its practitioners sustained mobility in old age. To me, that means that while we know Mark did suffer an injury on set, it would behove Abrams to have a stunt double option for Mark readily available for all action scenes and that’s much easier if your old actor chooses to wear a mask. Kylo Ren is a title. 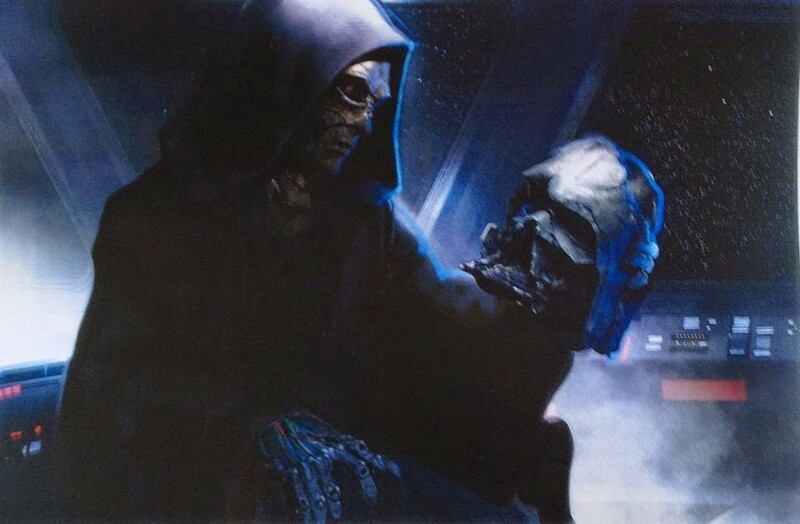 We know that, while serving under Snoke in the Knights of Ren, he was obsessed with Vader and is believed to have modeled his look and behavior after the Dark Lord Volde- I mean, Vader. It is not a stretch to imagine Luke recognizing the same frustrations his father saw in establishing a new order and then following in those same footsteps. If you haven’t caught on to this yet, the Star Wars franchise oscillates between a Sith and Jedi dominated storyline, influenced by the Yin and Yang culture from which the originally story was likely plagiarized (The Hidden Fortress). 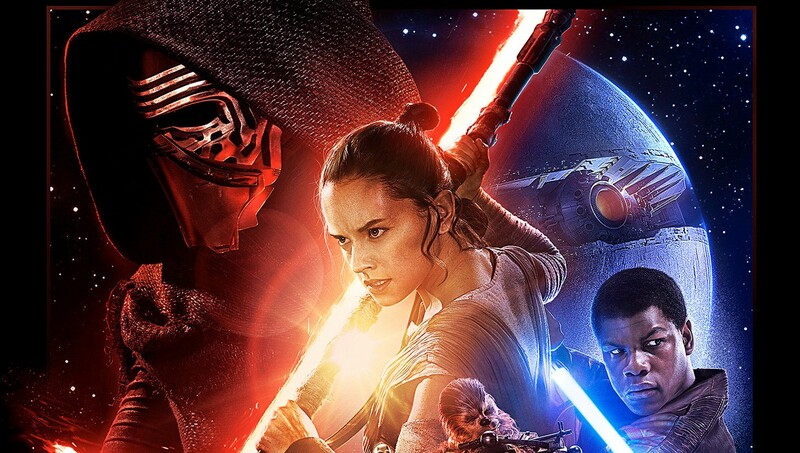 Episode VII will be a win for the Sith. And while there’s no guarantee that the new Disney/Lucas Films mashup will stop printing money at Episode IX the franchise does operate on a trilogy cycle. Which means that either Episode IX has to end with the Sith winning or something really interesting has to happen. But how does this all come together? Every great magic trick consists of three parts or acts. The first part is called “The Pledge”. The magician shows you something ordinary but of course… it probably isn’t. Despite how new the 3rd trailer looked, we’ve been here before. New characters are introduced (Rey, Poe, BB8), someone discovers they can use the force (Finn), a baddie is revealed (Kylo), and we “rediscover” a wise mentor (He-Who-Shoots-First Han). This is identical to Episode I and IV. From what I can gather, Force Awakens begins with the First Order beginning to fill the power vacuum left by the fighting through a unified assault (using Empire weapons and armada). The Jedi are viewed as a myth as evidenced by Han needing to affirm that all the stories actually took place. It’s true. The Dark Side. The Jedi. Episode II, V, VIII. Anakin turns, Vader is Luke’s father, Kylo is Luke. This is a far more compelling story line than simply a new bad guy is bad and Luke is absently being a hermit because Obi Wan. Imagine walking out of the theatre on December 18th. You’ve just witnessed the First Order run train on the free world(s). Poe is a funny pilot. Finn is the most relatable and powerful character you’ve seen in a while. And Rey is a badass testament to Feminism (and ultimately Humanism) everywhere. And while Han has been able to provide great intel on Kylo Ren and the First Order no one seems to be asking where this guy came from or what really happened to Luke. But Han remembers. He remembers how he and Luke had initially set off to rebuild the galaxy together. How they had become frustrated after years of seeing little progress, already exhausted from their fight against the Empire. He remembers how Luke would disappear on missions, dressed in all black, saying that because he could use the Force he was better suited for single stealth missions. He remembers the unease Leia felt whenever she was around Luke. He remembers the first time he found the mask, in the floorboards of Luke’s X-Wing, and wondered who it belonged to. Han knows who Kylo Ren is. He’s the sacrifice of principles for ambition. He’s the abandonment of freedom for control. He’s a friend turned an enemy — born out of the Battle of Endor. He’s Luke Skywalker. Episode I, III, VI, IX. The birth of a chosen one, the hope of new life, the redemption of a father, the redemption of a son. Luke being Kylo affords the franchise an incredible opportunity; conversion. Remember the pattern of film victors? We’re set up to have the Sith win in IX. While that might make sense to usher in another three films, it’s entirely possible it ends with IX. Episode IX allows for Luke to look himself in the mirror. Who knows what traumatic event this will be? Perhaps Leia will die? Or another pivotal character? The point here is that we get to see why Luke is like his father and, hopefully, better than Vader. Anakin died as Vader but Luke could still die as Luke. Remember, the battle of Jedi vs Sith is at base a religious conflict over the use of the Force. This is a battle won with ideas more than brute strength. If Luke destroys the idea of Kylo and the Sith, the Jedi (and by extension the Alliance it established and protected) win. Let’s face it, the guy loves leaving gotcha clues throughout his movies. As a fan I enjoy this. But, remember that poster from the beginning? The masked Kylo Ren ominously looming over everyone makes me wonder if Abrams didn’t purposefully request that poster to be able to point fans back to at the end of Episode VIII. Just a thought. I have to give my roommate credit for this one as he’s actually read the Timothy Zahn series of VII-IX. He pointed out that the final installment of that series, The Last Command, sees Luke encounter a clone of himself. And what did we see in the released trailer tonight? 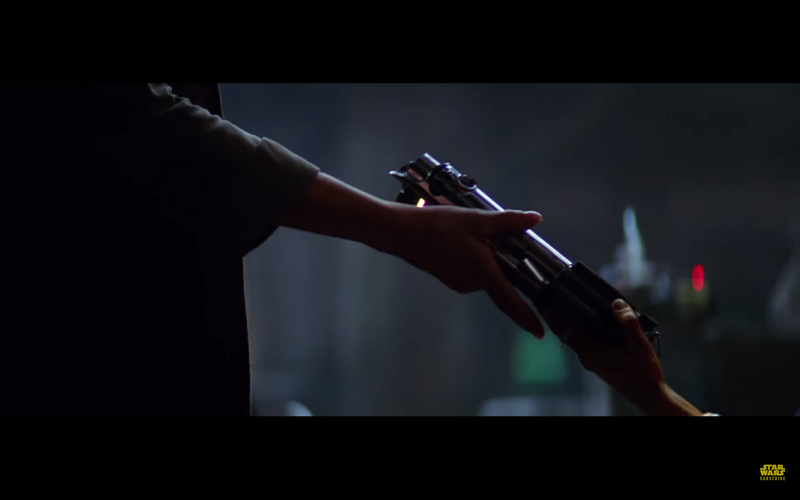 Luke’s original lightsaber — lost on Cloud City during his battle with its former master. If you found any errors, please respectfully comment here or Twitter.